I've been serving as a fitness professional in the North Shore of Massachusetts for the last three years. I also work as a High School level Women's Lacrosse coach. 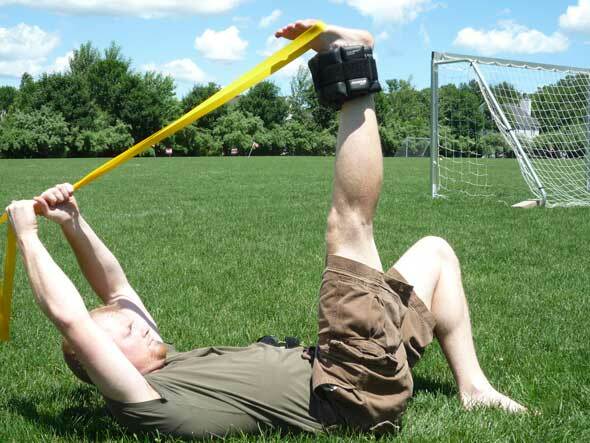 I specialize in Active-Isolation Stretching and find the Ironwear Belt/ankle weights to be a perfect complement. I'm always on the look out for tools and knowledge to strengthen and streamline my ability to provide excellence service and results to my players and clients and it seems clear that the team at Ironwear feels the same way. I'm currently entering into a youth training camp and look forward to leveraging the tools Ironwear provides to challenge these young athletes as they've never been challenged before. Thanks for the great products. I'm confident they will bring many a young athlete to their knees!